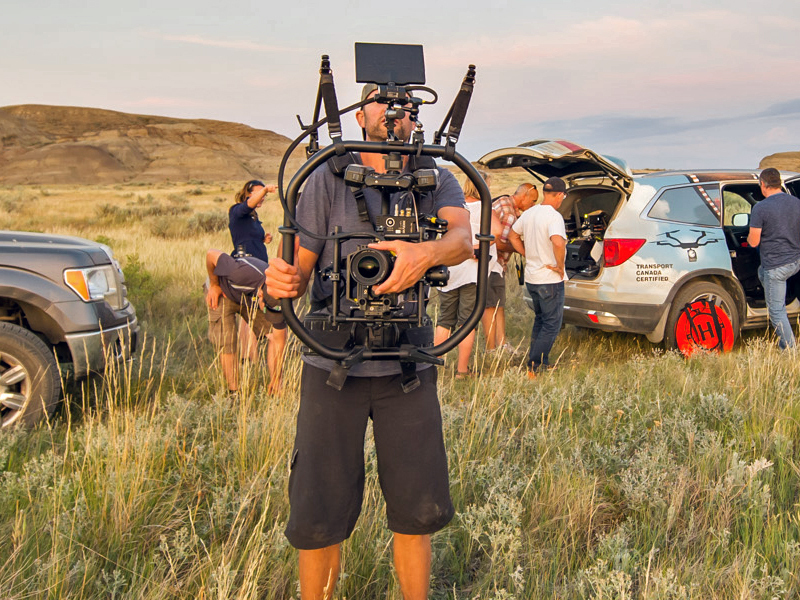 Shot throughout the summer of 2017, Java Post Production and Java Post Aerial Photography worked with Phoenix Group and co-directors Greg Huszar and Derek Frankowski to produce a series of commercials for the 2018 Tourism Saskatchewan advertising campaign. Click on the Related Project video to see the finished 60-second ad. Scroll down to see Part 2 of some behind-the-scenes images taken during the shooting of these commercials. To see Part 1 of our behind-the-scenes look, CLICK HERE. 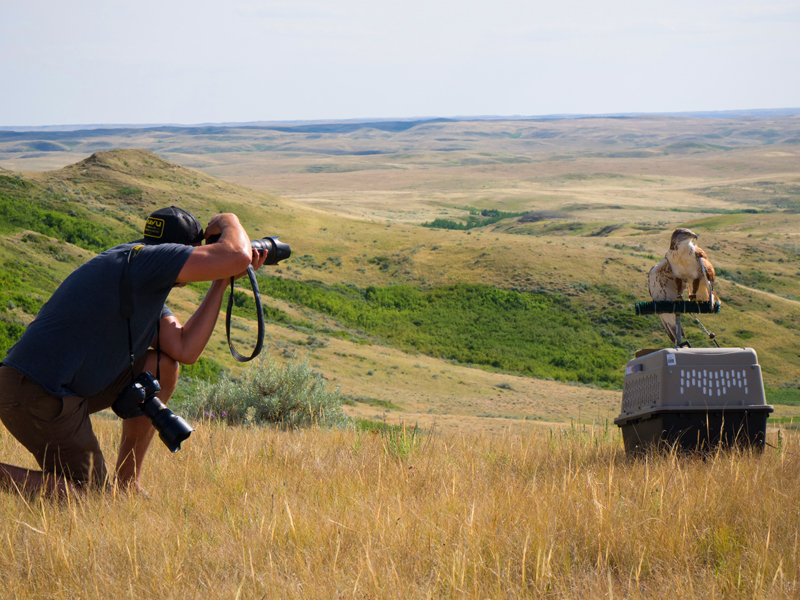 Out in the spectacular grasslands area of Saskatchewan, Java Post Production managing producer Randy Shumay gets in the way of the scenery. 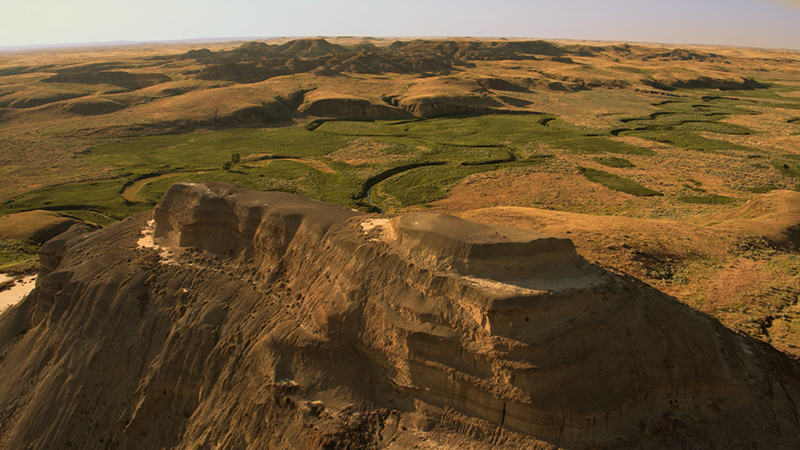 Apart from that, it's a gorgeous Saskatchewan landscape, don't you think? 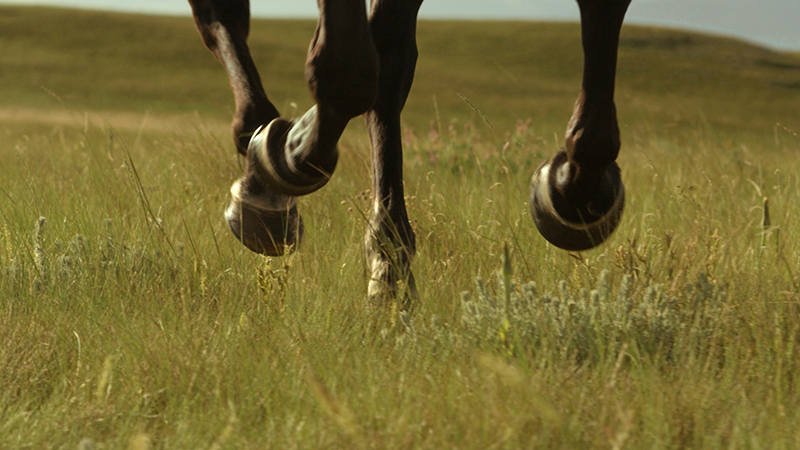 Some of the scenes in the commercial involved horses running free, with neither harnesses nor riders. 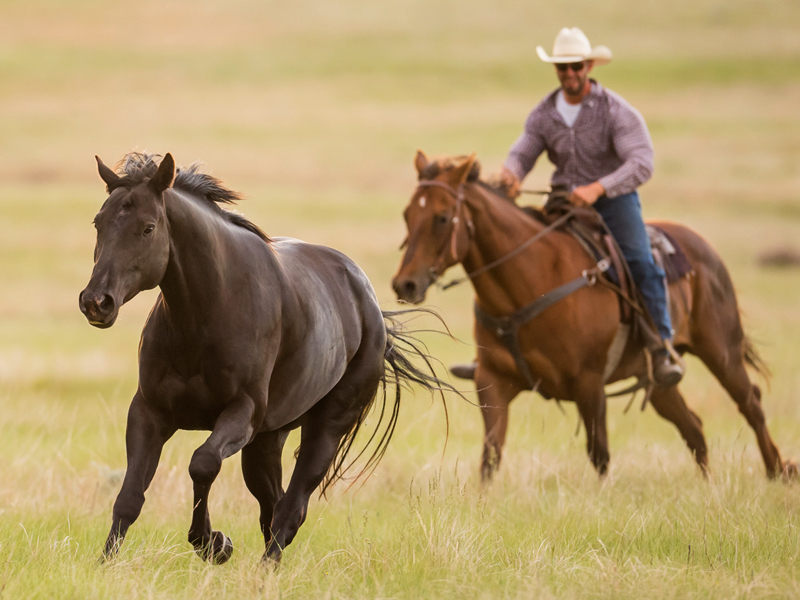 To accomplish this, we had two experienced horse wranglers on our crew and we followed the horses in a truck, with our camera person standing in the back. 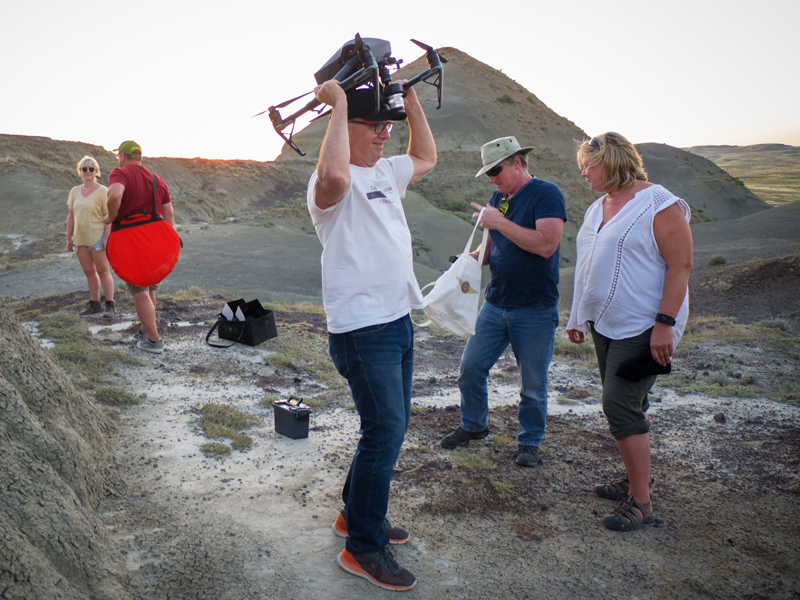 Here you can see co-director and co-director of photography Derek Frankowski, gaffer Darryl Kesslar, and the camera rig all harnessed into the bed of the pickup truck. With our Java Post colleague Randy doing the driving, you had both better hope those harnesses are tightly secured. 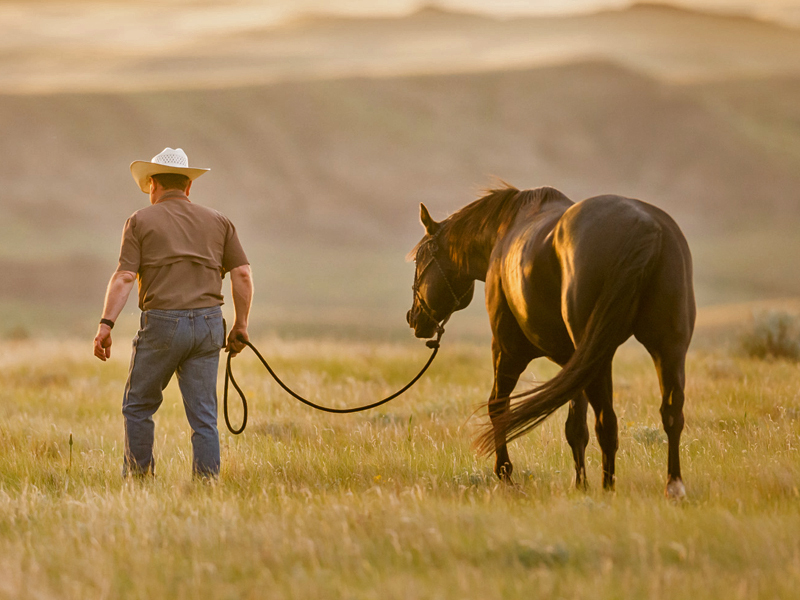 Above, you can see one of our horse wranglers keeping tabs one of our equine stars, so that he doesn't stray too far from the set. The image directly above and the two that follow show how these shots looked in the finished commercials Java Post did for the advertising campaign. 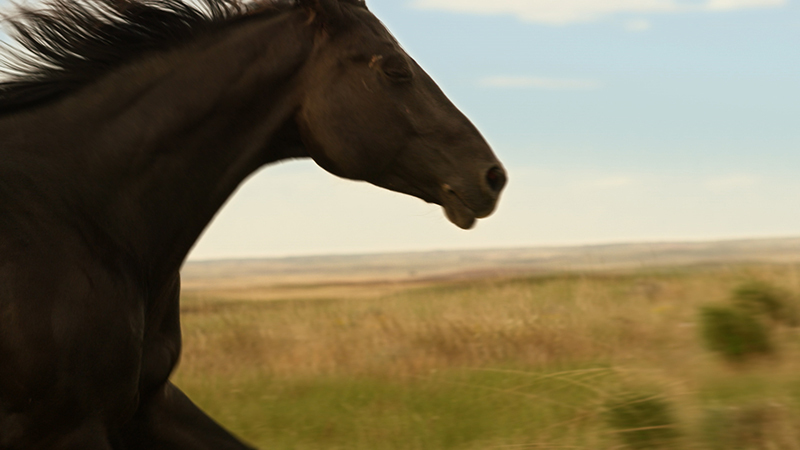 Between takes, our wranglers escorted our stars back to their starting positions. 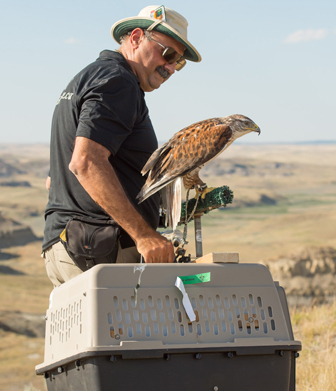 Next to arrive on set, a hawk and his trainer. Why fly to the set when you can have a human carry you, right? Like most photogenic divas, the hawk had to put up with the local paparazzi. And, after the session with the still photographer, our camera crew takes over for the close-up. 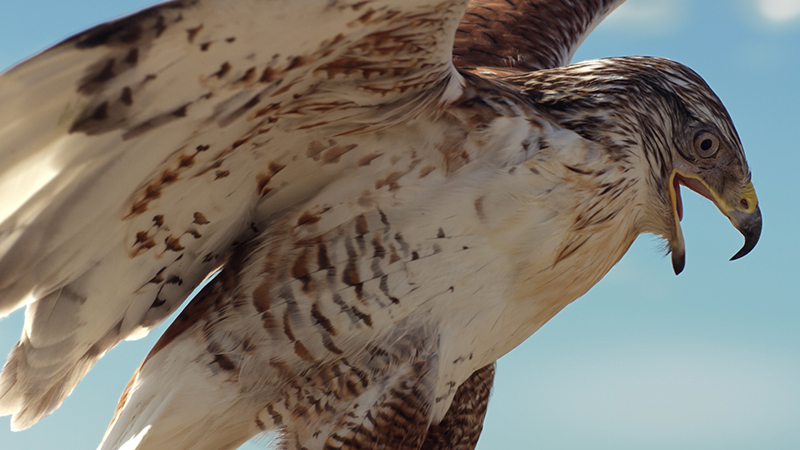 Below you can see how our feathered feature performer appears in the finished commercial. 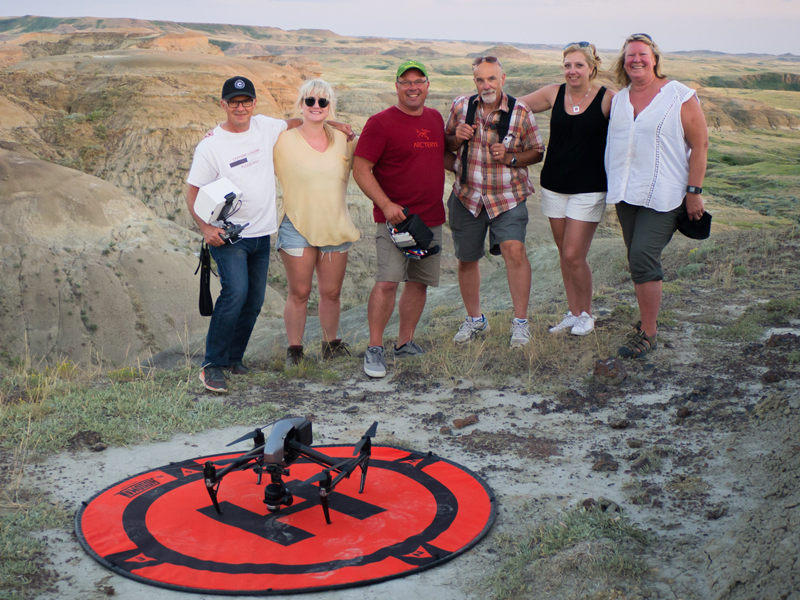 Members of the Phoenix Group advertising agency and Tourism Saskatchewan client reps gather around the video monitor to view the shots. They're watching the hawk like...well, a hawk. 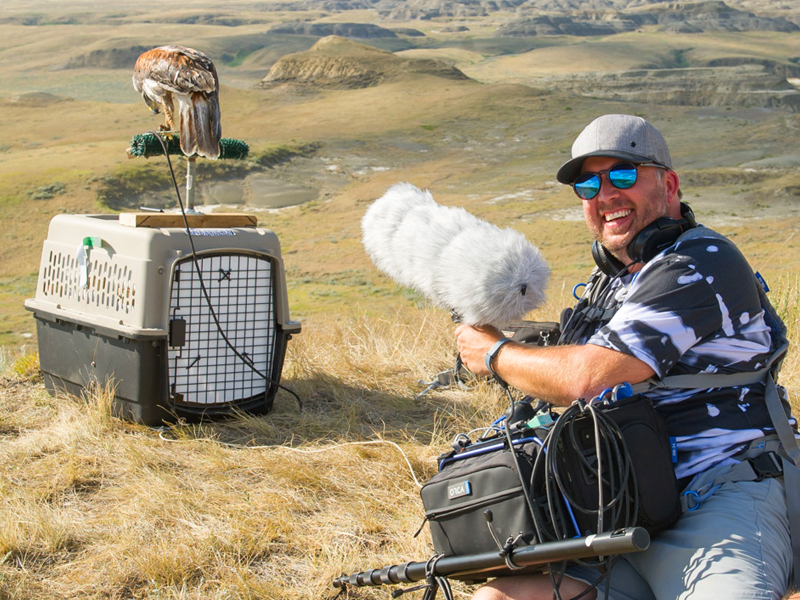 Our sound person, Brent "tBone" Blazieko (you can call him tBone), gets one of his more unusual sound recording assignments: convincing a hawk to screech into the microphone. As you can hear in the finished commercial, the hawk screeched just fine. Nice job, tBone. 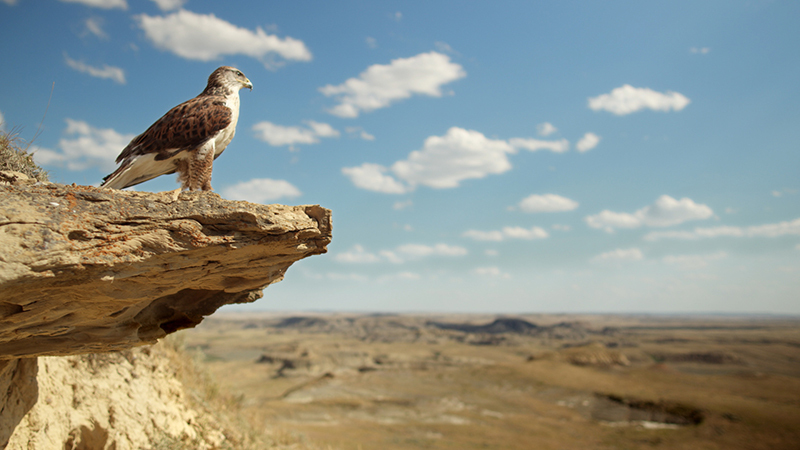 Above, our camera crew gathers on the side of a hill to get a shot of our hawk perched majestically on a scenic rock outcropping (see below). 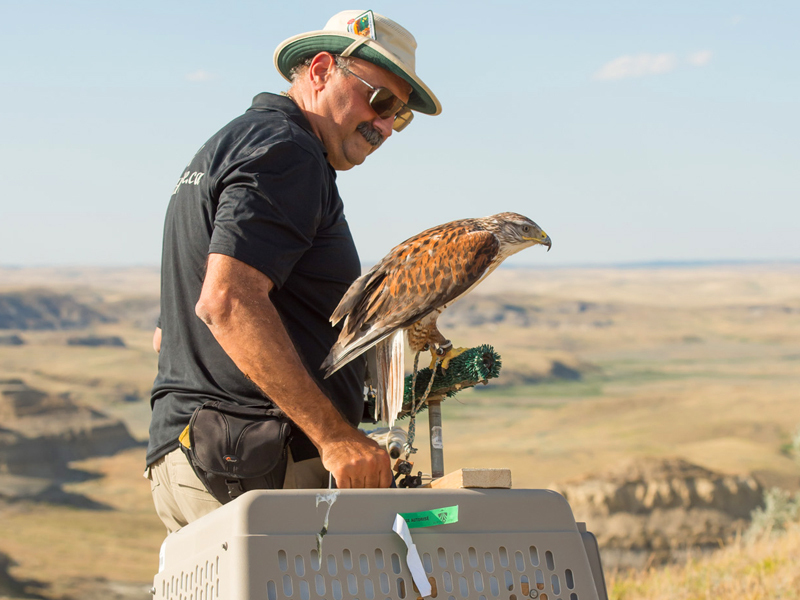 Our crew only wishes they could perch as majestically as the hawk did. 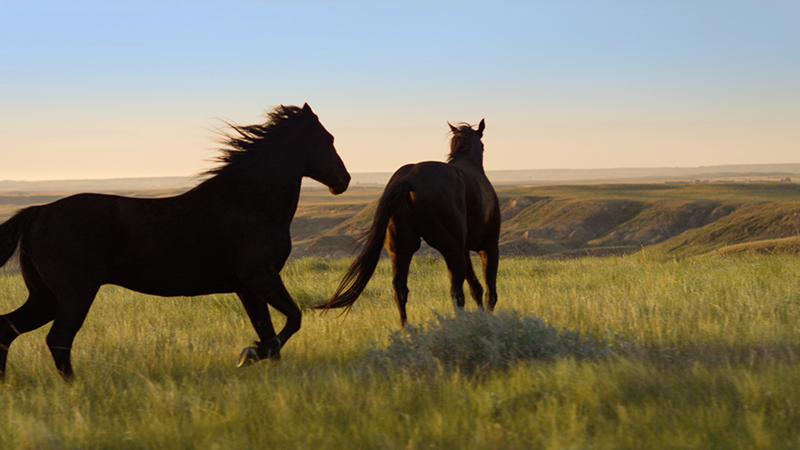 This sweeping cinematic shot looks like it might have come from a classic epic western movie. 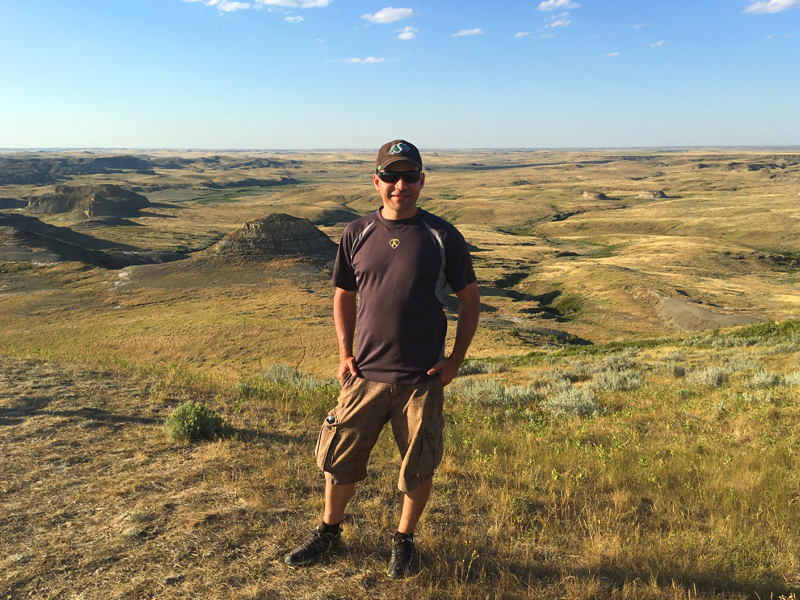 The vistas in Saskatchewan can be breathtaking. A look at co-director and co-director of photography Derek strapped into his handheld camera stablization rig. At this point, he's more video machine than man. 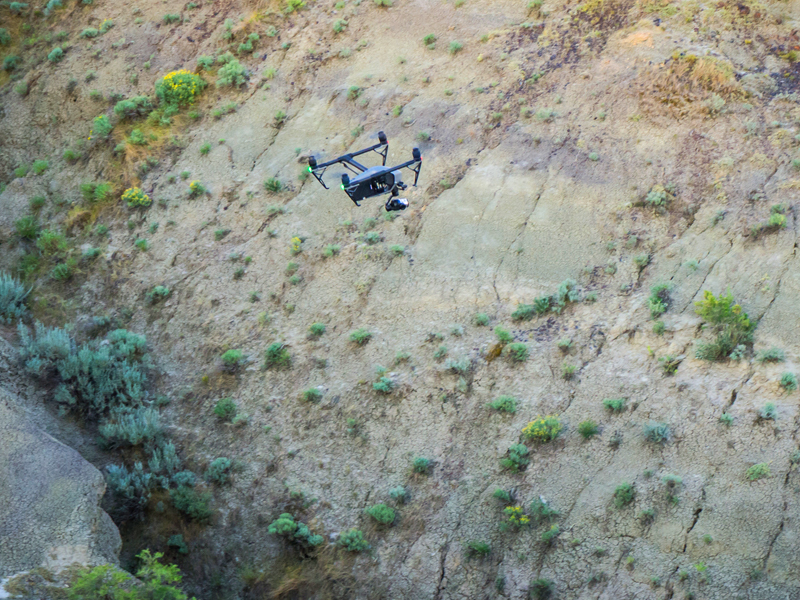 Flying our DJI Inspire 2 drone, the Java Post Aerial Photography crew goes to work. 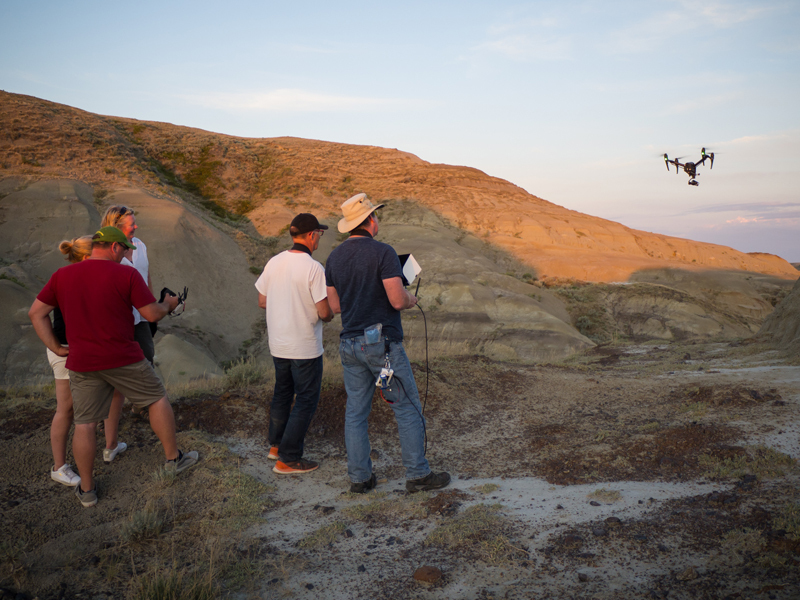 Hovering above the Saskatchewan landscape, our Java Post drone crew captures some stunning footage. Like this aerial image from the final edit. 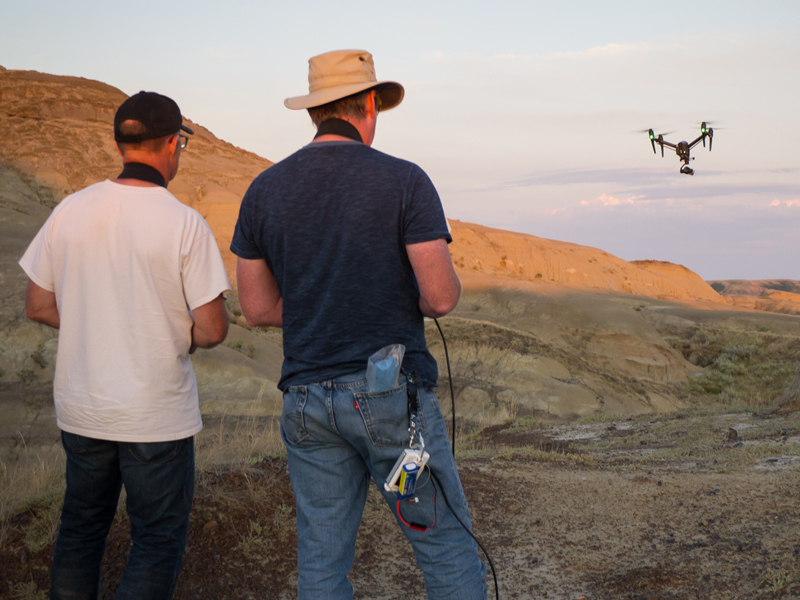 Java Post Aerial Photography chief pilot, "Java Jack" Tunnicliffe (left) and camera operator/drone technician Trevor Bennett bring our unmanned aerial vehicle in for a landing. Crew and clients pose for a post-shoot photo. Now comes the job of moving all the gear back to the vehicles. Jack decided to wear the drone as a hat. It's like a high-tech version of the beanie with the propeller on it that he wears around the office. 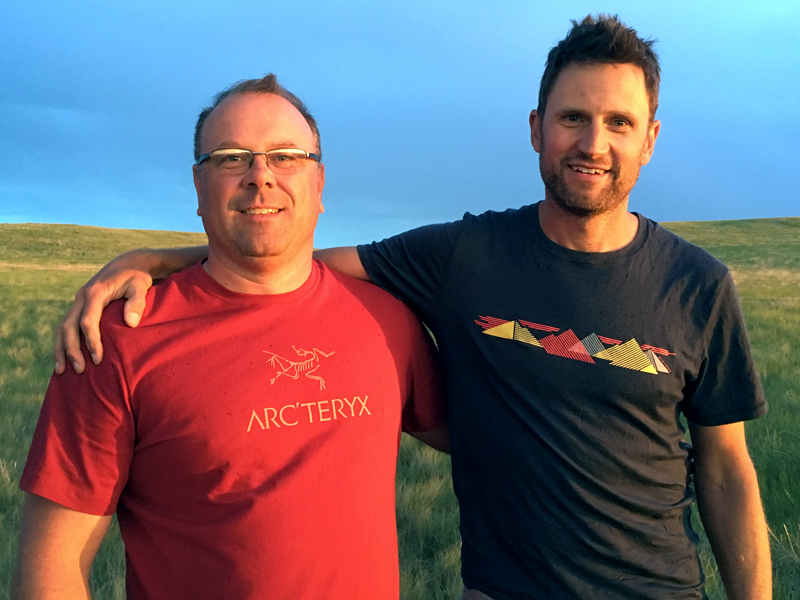 Our talented co-directors and co-directors of photography: Greg Huszar (left) and Derek Frankowski. We always enjoy working on projects with them. 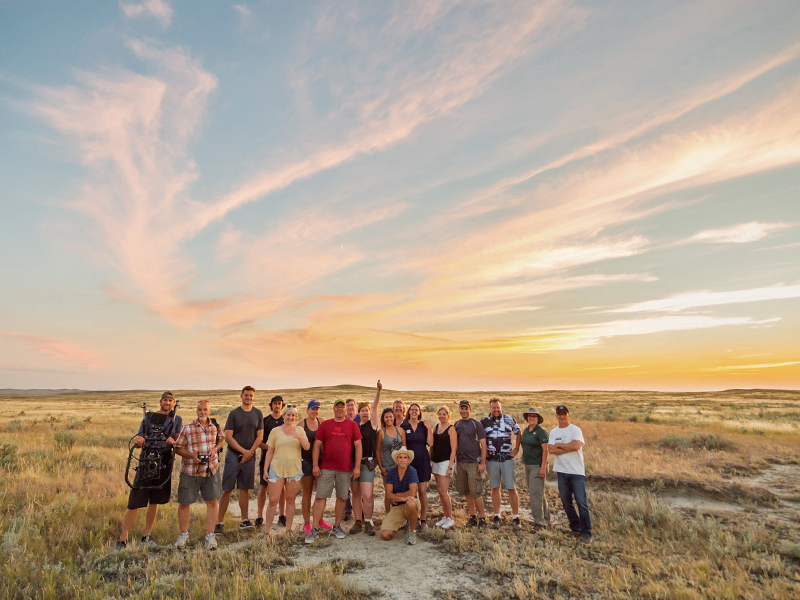 And, as the sun slowly sets into the stunning Saskatchewan horizon, the Java Post Production crew, along with clients and agency reps, celebrates another successful day of shooting for the Tourism Saskatchewan campaign. To see Part 1 of our behind-the-scenes look, CLICK HERE. To see examples of the work done by Java Post Aerial Photography, CLICK HERE.